2016 marks the fifth anniversary of the January 25th Egyptian revolution, when millions of Egyptians from vast socio-economic classes called for "bread, freedom, and social equality." Ever since that time, when we were hopeful and optimistic about a drastic change, the country has undergone several government overhauls and endured political and economic unrest. Fast forward five years later, the average Egyptian is still suffering. When companies started going out of business and NGOs came to face more and more restrictions, it became necessary to search for an alternative. Between enterprises that do business with sole profit motives, and charities that receive donations and endowments to help the underprivileged, there was no middle option to combine business with social good. Talk about "social entrepreneurship" (SE) was mainly conceptual, and we needed a way to make the abstract concrete, which is critical to bring about greater understanding, acceptance and a disruptive change in the country's socio-economic conditions. In fact, it wasn't until Hult Prize that SE found its ways to the land of the pharaohs, and more specifically to the youth. The major shift happened a couple of years ago when Hult Prize was introduced in the American University in Cairo (AUC), which I will touch base on soon. In essence, Hult Prize is the world's largest student competition and accelerator for social impact. The Hult Prize Foundation, in partnership with Clinton Global Initiative, awards a $1 million prize to a team of students who offer a game-changing solution to an annually selected global challenge. By doing so, the Hult Prize goes beyond the generic business competition targets, and engages more young minds in the innovation process. 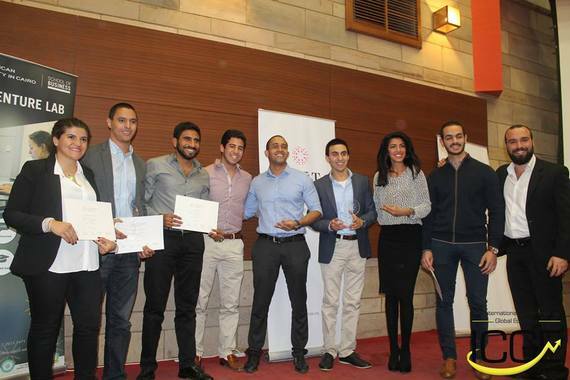 Before Hult Prize spread to Egypt, students didn't know they could have a profitable business and enhance social welfare simultaneously. The typical conversation separated for-profit organizations and charities, not allowing for an alternative way of doing business. Nevertheless, the challenges announced by Hult Prize over the past couple of years showed the extent by which social enterprises can be disruptive and have the potential to alleviate problems like poverty, illiteracy and chronic diseases for millions of people. As a university student, I wanted to be part of this inspiring call to action, spread it across my community and engage as many students as possible, as I am a firm believer that social enterprises will surely contributes to our prayers for prosperity. Let me get back to AUC, where the SE spark ignited. With over 7,000 students, 50% Egyptians and 50% foreigners, you could easily tell that AUC is a melting pot of nationalities and views in Egypt, with students coming from all walks of life, and from all over the world. What's really interesting is that no matter what major students select, they can always pursue different courses, following AUC's liberal arts doctrine. These factors were to our advantage when we introduced the principles of social entrepreneurship, and helped cultivate a great spirit that encouraged students to be part of the change. Running the local competition this year in partnership with the student organization, The International Conference on Global Economy (ICGE), The AUC School of Business, The Venture Lab, and the incredible Hana Sanad who co-managed the AUC qualifier, we saw an amazing surge in the number of applicants, exploding from 40 to 125 teams in only one year. This validated our hypothesis that as students came to understand the value of creating what we marketed as the "best of both worlds," more and more got the confidence to leave their comfort zones and start creating SEs. They had the ideas. What they needed was a spark, and most importantly, the optimism and drive to embark upon this new path. What does this 125 number mean? Quite literally, it means that in AUC alone, there were 125 ideas for new businesses, created specifically to solve a global problem. This year's challenge is to build sustainable social enterprises that double the income of 10 million people living in crowded urban spaces by 2022. While not every idea will result in a successful new enterprise, the odds are good with such large numbers. Two ideas that ended up advancing to the regionals finals were NEXU, a company that started an online platform to connect skilled service providers to with consumers, and SandaaS Co., which provides new water and power supply technologies through human waste. This is only one campus in Egypt, which is showing that youth is Egypt's key to alleviate the conditions and address the unanswered demands of the revolution. If we do the math, with around 25,000 student applications for this year's case only, imagine how many slums, cities and people will benefit from the solutions that are creating social impact and generating money. Astonishing, right? If we go back to the core and think about what the Egyptians asked for five years ago, we find ourselves facing a massive challenge. The past couple of years have shown us that changes will only come if we invest in fresh perspectives. Only when we empower the youth and give them a chance to invent and innovate we will we get back on our feet and turn Egypt's current conditions for the better. 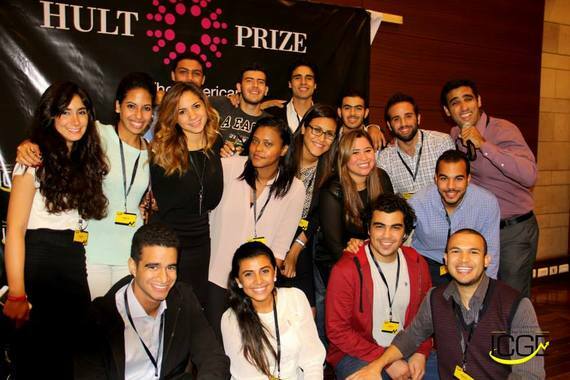 The Hult Prize team in Egypt and AUC is determined to continue the mission to spread awareness about social entrepreneurship and turn Egypt into the biggest SE hub in the world -- mark my words!